Mystery Channels Hidden right under your nose! 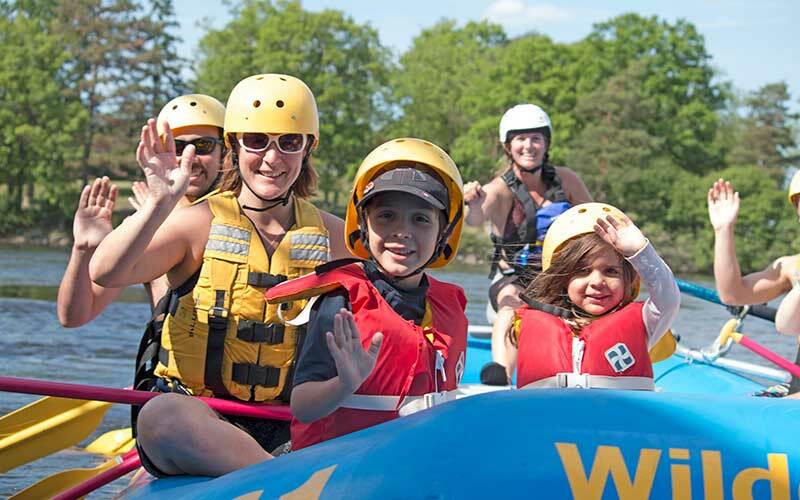 3-hours of the perfect urban rafting adventure combining fun, excitement and history. This professionally guided trip is available morning and afternoon. We provide helmet, life jacket and paddle. Body surfing (swimming in small rapids)and cliff jumping are exciting optional parts of the trip. Exceptionally fun filled 3 hrs with just the right amount of adventure, excitement and history for both the young and the young at heart. 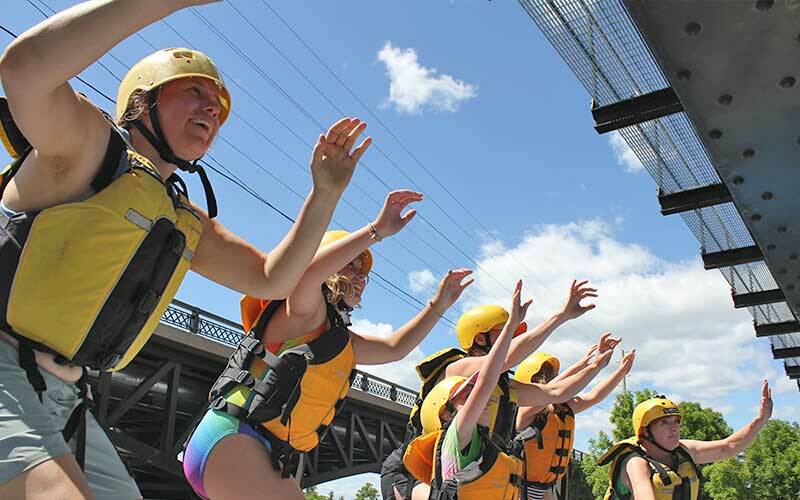 This trip is suitable for non swimmers as there are zero unscheduled swimming on our Ottawa City Rafting Trip. Starting at beautiful Britannia Beach, which is just 10 minute drive from downtown Ottawa our Ottawa City Adventure Starts. We depart the beach for the Deschenes Rapids only a 5 minute paddle. 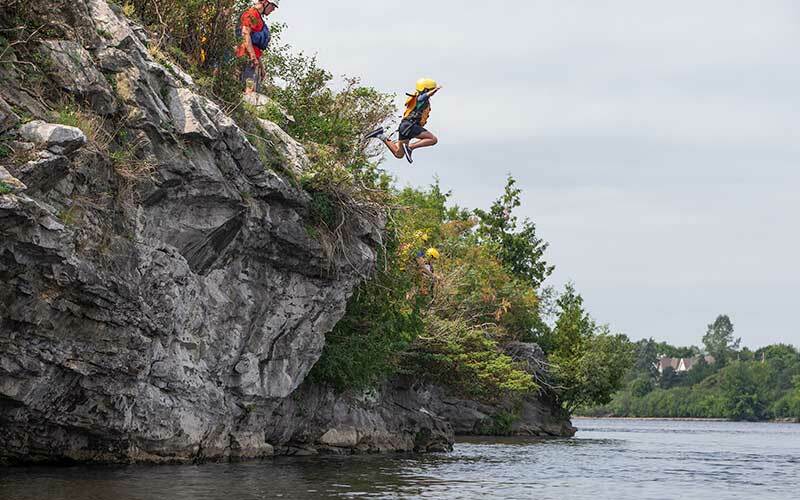 We have the opportunity to “body surf” or swing a rapid, cliff jump and view the city from a spectacular vantage point. The trip ends, just up river from the War Museum after the Onigam St Bridge. We bus you back to Britannia Beach where your started your trip. Basically, it’s a “River T-Shirt” that is quick dry and adds warmth. Wear it rafting, canoeing, kayaking, biking etc. Note: If you see any dates “not available” give us a CALL US AT +1 (844) 688-7238 to check availability. 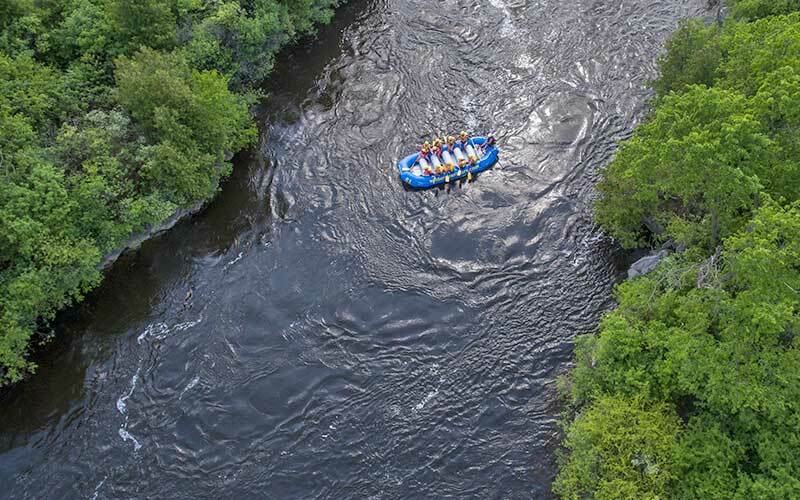 If you are seeking bigger rapids, visit Wilderness Tours just an hour upstream at 1 (888) RAFT-NOW (723.8669). 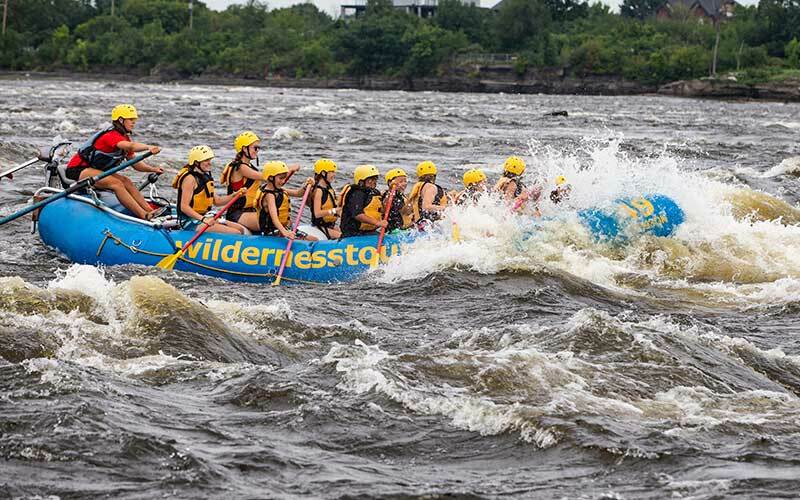 Wilderness Tours is Canada’s top rafting and kayaking resort company. They offer both High Adventure and Gentle Family adventure in a wilderness resort setting. Full trip refunds are issued only if cancellation notice is received more than 30 days prior to trip date. No trip refunds or alternate trip dates are issued within 30 days of trip without cancellation insurance which must be purchased when reserving and is redeemable only in the event of illness, accident or bereavement and requires medical documentation.